This is my first post that’s not a recipe. I’m excited to share with you my favorite kitchen hacks. I use so many shortcuts and time savers in the kitchen that have just become second nature to me. 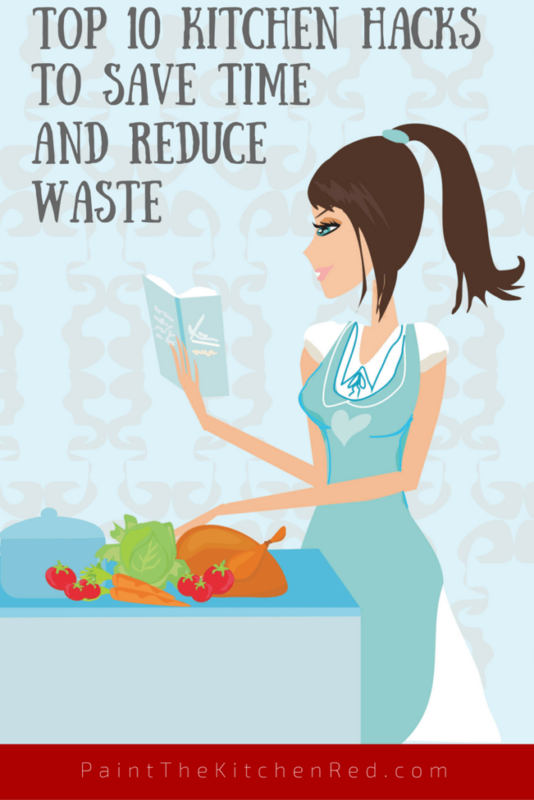 I’ve picked up many of these kitchen tips because I’ve become more conscious about waste. It kills me when I have to throw something out because it’s unusable or gone bad. Other kitchen tips come from a desire to save time. I’m a messy cook and the types of food I cook tend to splatter, so this kitchen hack is one of those things I do just instinctively every time I cook. I have a quadruple layer of heavy duty aluminum foil that is sized to cover my back burner and another one to cover the front and back burner. 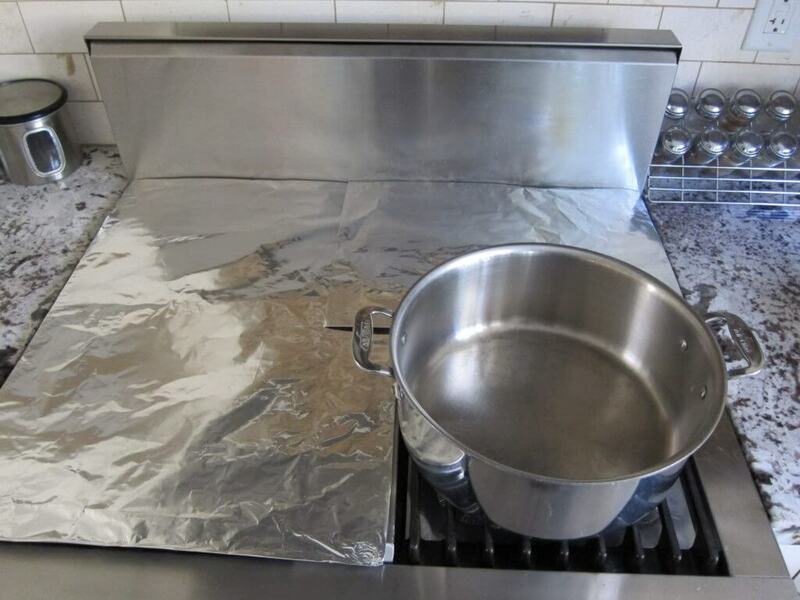 When I’m cooking on the front burner, I put these sheets over the remaining burners, and it saves me so much time when I’m cleaning up because I just quickly wipe down the foil, fold it up and put it away for next time. I use the same foil many times before I have to replace it. 2. 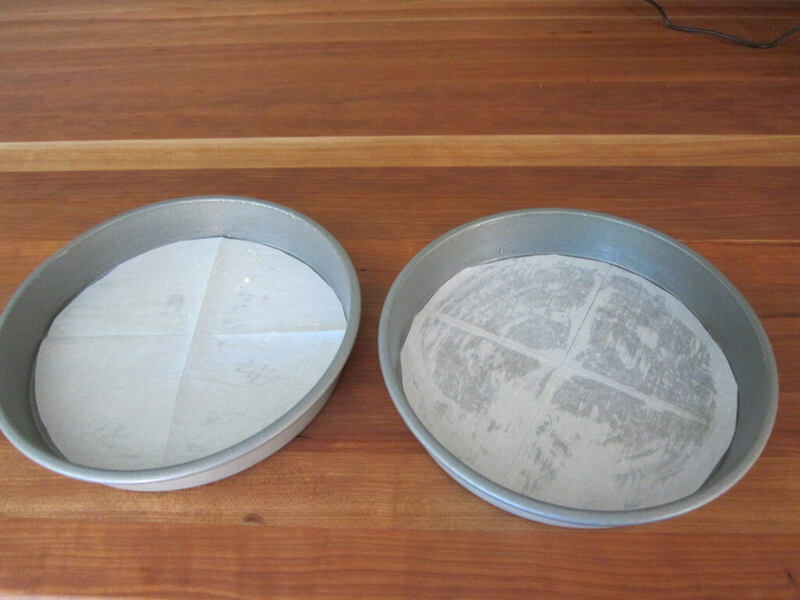 Use Baker’s Grease to grease baking pans for easy removal of cakes. Using spray oil or butter just didn’t cut if for me especially when I was baking Bundt cakes. I discovered this amazing miracle kitchen hack called Baker’s Grease and I use it to grease my pans for any type of cake, like this chocolate cake. It’s really easy to make and it can keep in the fridge for months. I make a batch and put it in a bottle in the back of my fridge. Just mix equal parts of all-purpose flour, vegetable shortening and vegetable oil. So you could do a half teaspoon of each if you just wanted it for a one-time use or use a tablespoon or two of each if you wanted to make a larger quantity, and store it in the refrigerator. 3. 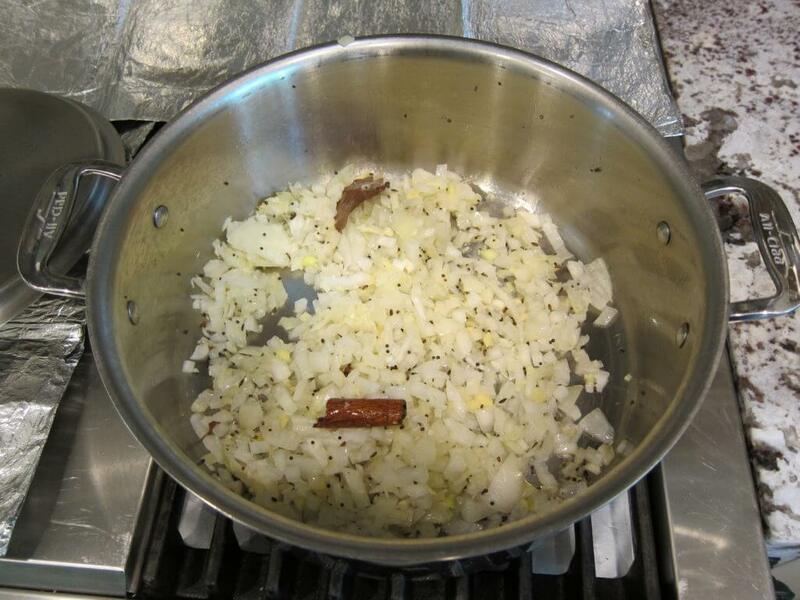 Brown onions faster by covering the pot with a lid. Many of the curries I make require browning onions, garlic and ginger to a deep golden brown. Curries like Indian Chicken Curry taste better when the onion mixture is browned to just the right shade of golden brown. I feel it’s essential to a good curry, but the downside is that it can take a long time. I usually leave my pan uncovered but if I’m in a rush, I cover the pan while the onions are browning. But it’s very very important to keep an eye on the onions and stir them frequently, because they can burn quickly. I speak from experience! It’s not fun when a time-saver becomes a time-waster! 4. Cut brownies cleanly with a plastic disposable knife. Have you ever made a batch of brownies and tried to cut them with a regular knife and they break apart and become a mess? All that work, and they aren’t presentable. Of course my kids are very happy, because they get to eat all the ugly pieces! I read about this kitchen hack a few years ago, and now I always keep a disposable plastic knife in my utensil drawer to cut the brownies into clean squares. 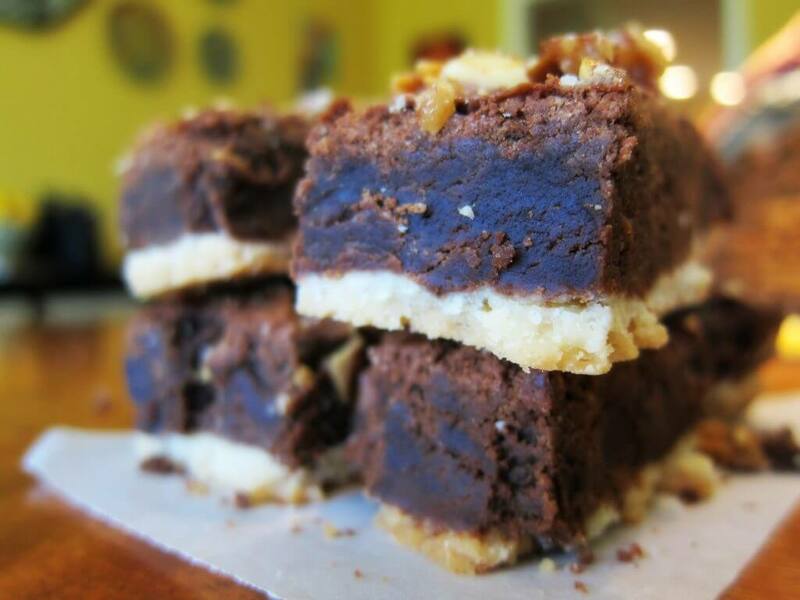 Try it the next time you make brownies, maybe these almond brittle brownies. 5. 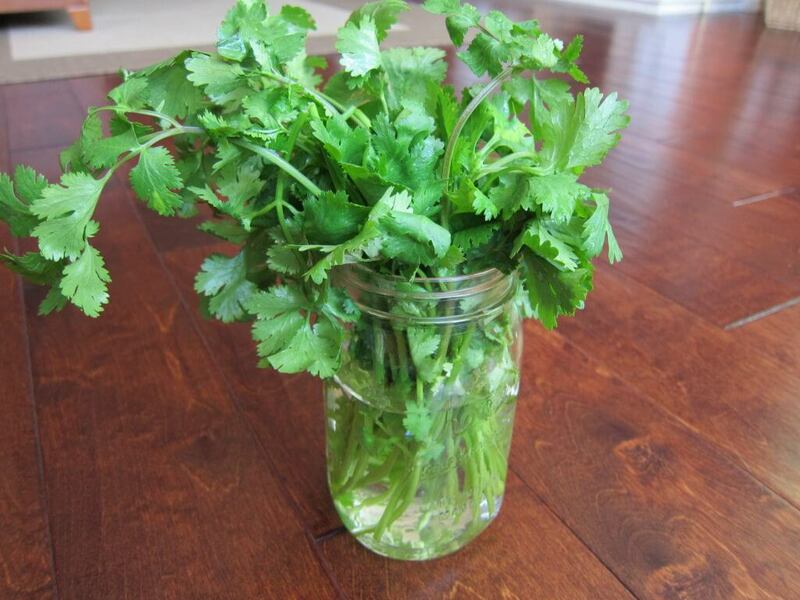 Keep herbs fresh by placing them in a glass jar halfway filled with water. Have you stored fresh herbs in the refrigerator and ended up having to just throw them out because they got wilted and soggy? It’s happened to me too many times. I now keep fresh basil, cilantro and other fresh herbs in a glass jar with water and they stay fresh longer than in the fridge. I refresh the water every few days. And the added bonus is that I don’t forget about them. 6. 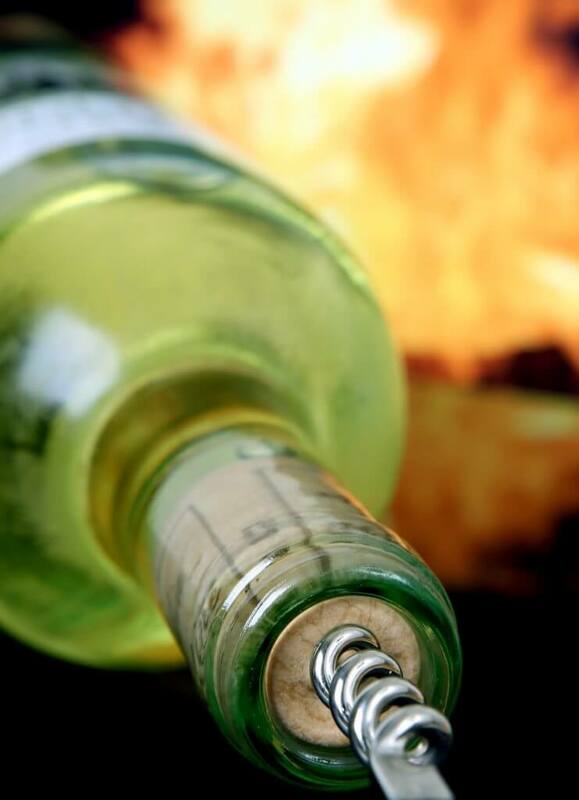 Use white vermouth instead of white wine for cooking. An opened bottle of white wine just doesn’t keep well and so when a recipe calls for white wine, I usually don’t have any on hand. But I don’t want to open a new bottle just for a recipe, so I use the same quantity of white (dry) vermouth to substitute for the white wine. Works great and it’s more economical. A bottle of cheaper quality vermouth costs much less than a decent bottle of white wine. 7. 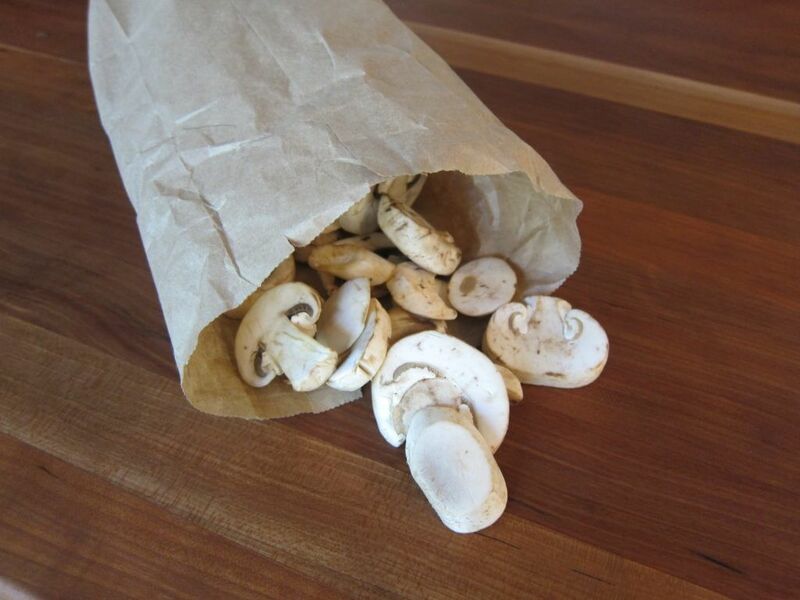 Store mushrooms in a paper bag in the refrigerator to keep them fresh. I love using mushrooms in my dishes but mushrooms get slimy and go bad easily. I usually try and use the entire container in a recipe but once in a while I will have leftover mushrooms. I’ve found the best way to store them is in closed paper bag in the produce drawer of the fridge. The paper bag absorbs the moisture released from the mushrooms without drying them out. They last an extra few days compared to leaving them in a regular container. 8. Use milk + vinegar to make your own buttermilk. 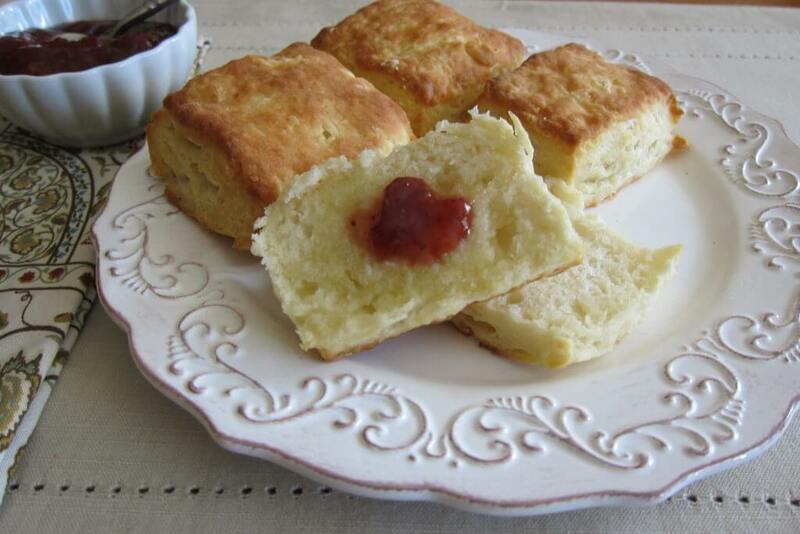 There are many times when I want to make buttermilk biscuits or pancakes on a weekend and I don’t have enough buttermilk on hand. To make 1 cup of buttermilk, pour 1 tablespoon of white vinegar into a measuring cup. Add enough milk to the measuring cup to make 1 cup. Let the mixture sit for about 10 minutes and it’s ready to be used in your recipe. 9. Add a small piece of bread to brown sugar to soften it. Hardened brown sugar is a pain to use in recipes. I used to microwave brown sugar to soften it before adding it to recipes. But I’ve found that adding a piece of bread to the brown sugar keeps it from getting hard. 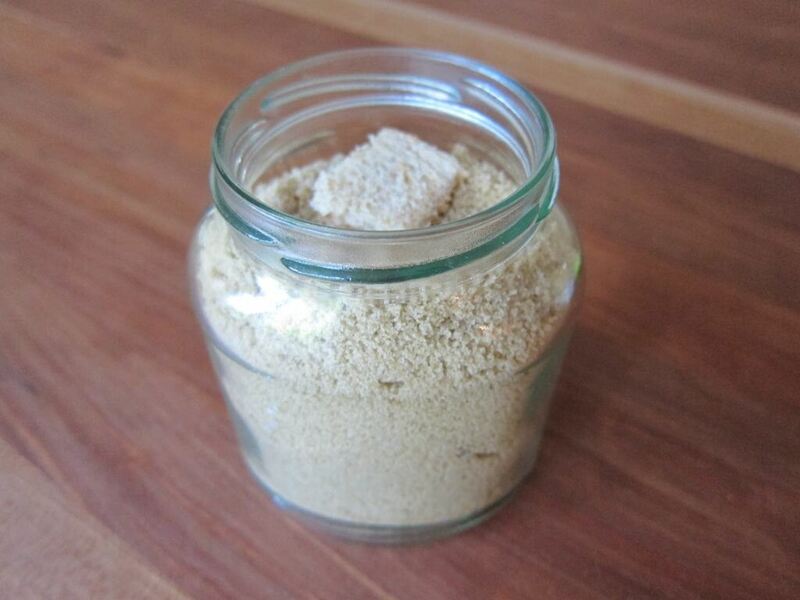 If you have hardened brown sugar, add the bread to the brown sugar and store in a sealed container. The sugar will soften in a day or two, and be ready to use. And although you might think that the bread will become moldy, it doesn’t. It might dry out, in which case you can just replace it. 10. 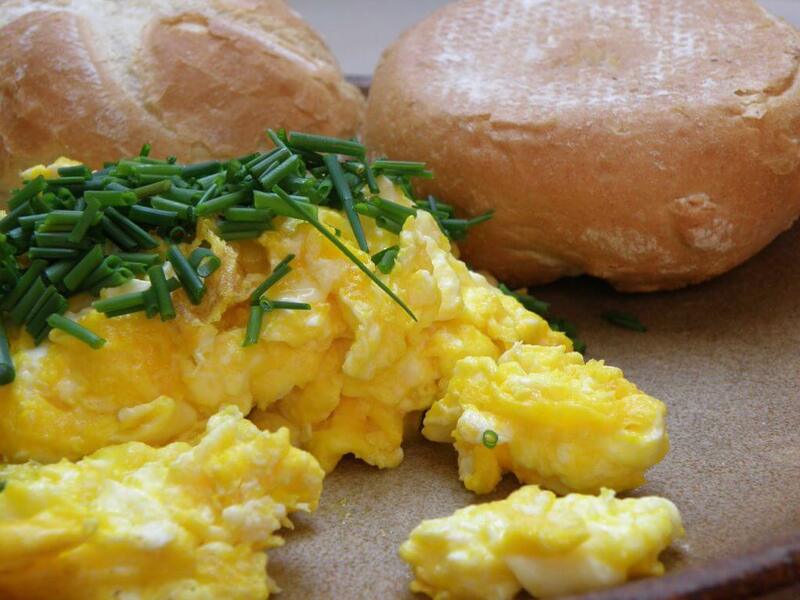 Use a silicone spatula to make scrambled eggs. For years I used a regular spatula or a large wooden spoon to make scrambled eggs. These utensils would leave behind a thin layer as I scrambled the egg, and there would be dried up bits of scrambled egg left on the pan. A silicone spatula does a much better job of lifting and folding the eggs and leaves the pan super clean. Less work and less waste! I hope you can take away some of these kitchen hacks to help you out in the kitchen.What favorite tips do you have to share? Let us know! Loved this–so helpful to save time and energy. I will definitely use the foil technique to reduce clean-up time. And I love keeping my fresh herbs fresher by keeping them in water. Also, I can now put my plastic knife to good use next time I make brownies and try your recipe. Awesome! The foil is really my #1 tip, because I use it every day! Great tips, Neena! Hope there are going to be more posts with more tips like that… Now I have to try to use a silicone spatula for the scrambled eggs… Speaking of herbs like cilantro and parsley – whenever I have some extra, I chop them up and freeze them in the small plastic bags (or containers). Then I have them already prepared for the future use, and after cooking them you never tell that they were frozen before. I will post more soon Natalia. I always need buttermilk last minute and I never knew that all it took was either lemon or vinegar to make normal milk into buttermilk! Such a time saver. Very clever with the wine as well! You are so right, once you open a bottle I pretty much need to drink it within a day. Now I have a substitute! Do you keep the herbs in the fridge once you put it into the jar with water? That’s what I have been doing but if I can keep it out – even better! Save space in the fridge and makes my counter top look more decorative! Joyce/grasshopper, I just keep it on my window sill – reminds me every day that I need to use it! Ohmygoodness! I didn’t know the trick with herbs in water and I am SO tired of throwing away wilted cilantro. Definitely going to give it a try!! If there’s one thing that kills me, it’s wasting food. I almost want to cry when I throw food away! Definitely lasts longer than in the fridge. Oh my goodness, that was a typo! I use vinegar. I’m going to modify the post right away. Thank you so much for pointing that out. I try to be so careful in my proof-reading, but sometimes the errors slip past me! One of my favorite ways to speed cleanup after frying is to spread an old towel out on the floor in front of the stove to catch the splatters. When I’m done, if the splatters go beyond the towel, I just spray a little floor cleaner on the tile and use my foot to wipe it up with the towel. Easy clean up! My favorite cooking hacks are to take a gallon or so of cherry tomatoes from my garden each spring and toss them with a little olive oil and roast them in the oven until they’ve started to shrivel up and caramelize. Then I freeze them in small baggies and put them all in a zip lock freezer bag and put the date on if. They are good in so many things – in pasta, on omelets, or as a side to a meal. I usually make a gallon of roasted tomato sauce for the freezer as wel, also divided. Fresh garden goodness all year round! Another do ahead for the freezer is roasted garlic. I’ll usually roast several heads of garlic when I roast tomatoes and portion them out in smaller packs inside a zip lock freezer bag. I roast more when it gets low. Do they ever come in handy! When I cook pasta, I usually cook a whole pound and freeze half for later. It’s great for a quick meal. I also buy a big bag of shredded Parmisan Romano and divide it up in much the same way. If I have pasta, roasted tomatoes, roasted garlic and good cheese in the freezer, I’m only a few minutes away from making a delicious dinner with very little effort. Hubby can grill or sauté a chicken breast and we have a meal fit for a king! Hi Becky – I put newspaper down instead of a towel, but I imagine the towel is better since they don’t stain (but I have dark wood, so I don’t notice!) I love your tips, thank you so much for sharing them – especially the time saving aspect. I’d give anything to get some of your roasted garden tomatoes! !